Brand Financial Training > Advanced Diploma Level Exams > Will the new benchmark be Level 6? 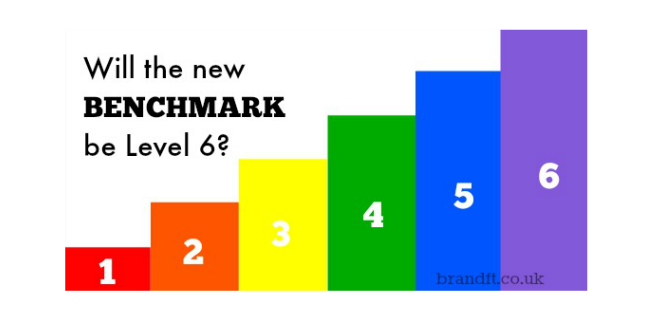 Will the new benchmark be Level 6? One of the questions on the minds of many financial advisers is whether or not the bar will be raised to QCF Level 6. This article examines the decision advisers need to make as to whether to take the ‘easy route’ or the ‘relevant route’ on their path to qualification. This article is of particular interest to those who are considering a course of study that will lead them to the CII’s Advanced Diploma in Financial Planning. It’s enough to make your head hurt. The RDR sprint by advisers to achieve QCF Level 4, and now the thought that the benchmark could be raised to Level 6 at some point in the near future. This raises the question, “What are you doing about it?” Are you working towards Level 6 and Chartered or Certified? Or are you sticking at Level 4 until/unless you are forced to gain Level 6? One of the questions on the minds of many advisers is whether or not the bar will be raised again to QCF Level 6. And when. I’m often asked this by our CII exam candidates. Alas, my crystal ball is broken, but I personally do believe that the bar will be raised to Level 6 at some point in the future. Whether that will be sooner or later I wouldn’t like to predict, but I’m sure it’s coming our way. There are many advisers who carried on with exams after they reached QCF Level 4. Some found that they quite enjoyed sitting exams (it’s true! ), and others simply felt that as they were on the exam treadmill, they may as well keep on going. Many have already gone on to achieve Level 6 and Chartered or Certified. They should have little to worry about for the future. Others are taking the relaxation route and are stopping at Level 4 until such a time when they have no option but to sit further exams in order to remain in their career. I can understand that choice if you aren’t a huge fan of exams. Regardless of ‘if and when’ the bar is raised to Level 6, it can’t be a bad idea to keep in the habit of sitting exams and pushing forward, so I always advise our candidates to keep on going even if it’s at a snail’s pace. 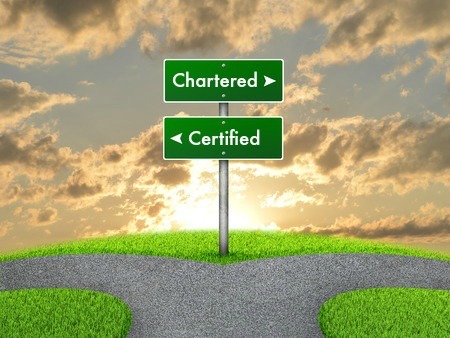 Increased knowledge can’t be a bad thing, and becoming Chartered or Certified is a great way to stand out from the crowd (who are currently at the now seemingly dull and boring Level 4). What titles can Level 6 lead to? To become a “Chartered Financial Planner” you must complete the CII’s Advanced Diploma in Financial Planning which is entirely exam based, and also satisfy the CII’s additional requirements. Alternatively you can choose the Institute of Financial Services’ (IFS) Level 6 offering which comes in the form of an exam plus coursework. 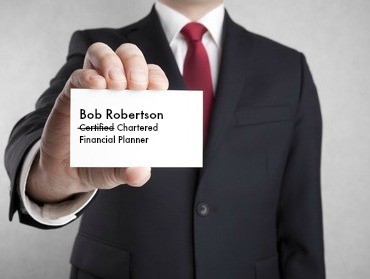 This allows you to “become chartered under the institute’s royal charter” and holders are able to use the title ‘Chartered Member of the Institute of Financial Services’ (CMIFS). Many choose to become a Certified Financial Planner as offered by the Institute of Financial Planning and some look to the CISI for their Level 7 qualification. Here we’re going to focus on the CII’s Chartered route. What exams do I need to get to Chartered? As a provider of learning resources for CII exams, I am often asked, “What exams do I need to complete to get to Chartered?”. Sharp intake of breath. Ohhh, if only it were that simple. For some there is the straightforward route of “do x, y and z and all will be well”. For most, the exams you have sat in the past matter a great deal and affect what you need to sit now. To use the Chartered title you need to complete the CII’s Level 6 Advanced Diploma in Financial Planning as well as have five years’ experience in the profession. To obtain the CII’s Advanced Diploma, you need to complete four of six financial planning units known as AF1, AF2, AF3, AF4, AF5 and AF6 (AF5 being compulsory). However you need to look at your overall exam credits to ensure you have the right number of credits and credits of the right type. And that’s why I can never directly answer the question “What exams do I need to complete to get to Chartered?”. Assuming you’re going down the CII route, you’ll need to get your learning statement from the CII. Then you need to check how many credits you have – You need 290 credits for the Advanced Diploma, and of those 290 credits at least 120 credits must be at the Advanced Diploma Level ie. AF1, AF2, AF3, AF4, AF5 or AF6. As each AF exam holds 30 credits, that’s the four AF exams you need to sit. That assumes that you don’t have any exemptions such as holding withdrawn AFPC units. See, I told you it wasn’t straightforward! Sorry, not finished yet… Then you must also have another 40 credits at Diploma level or above. The remaining credits can come from any exam which is where you need to decide between the ‘easy route’ and the ‘relevant route’. Some advisers choose to go down the ‘easy route’ and sit multiple Certificate Level exams to get the remaining credits, regardless of what the exams are and the relevance to their work. This route generally means more exams, but easier to pass. Others prefer to go down the ‘relevant route’ and do more relevant but harder exams – usually from the Diploma pot. As more credits are attached to them, overall you end up doing fewer exams than the ‘easy route’ but each exam is definitely tougher. Many advisers specialise in certain aspects of financial advice and so it would make sense to focus on exams relevant to that speciality. Additionally, sitting exams relevant to you (rather than going down the ‘easy route’) can only set you in good stead for the future if you’re ever looking to change employer. I recently had a chat with a recruitment consultant who often comes across adviser CV’s with many irrelevant exams – it causes a headache when trying to place them in a new role. Whether you take the ‘easy route’ or the ‘relevant route’, the resulting qualification is the same. However the knowledge gained certainly isn’t, and it’s important you think long-term. I don’t know for sure if the bar will be raised to QCF Level 6 in the future, but gaining more qualifications can only be a positive move for your career. It’s up to you which route you take. What are your plans for exams in 2015? Have you stopped at Level 4? Are you moving forward to Level 6? If you are moving forward to achieve Level 6, which route are you taking and how did you decide on that route? What is your main concern about taking more exams? You can get your learning statement by logging into the CII website and requesting it, or call or email them.